Radiant Youth Firming Cream Review (2018): Does It Deliver Results? What Is Radiant Youth Firming Creme? 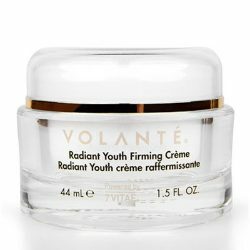 Volante Radiant Youth Firming Creme, US $85 for a 44 ml jar, is an anti-aging cream that restores your aging skin’s youthful radiance. This product has been formulated and manufactured by Volante Skin Care. All Volante products are made with a combination of modern science and nature-derived ingredients that do not just promote beautiful skin but, more importantly, promote healthy skin. Its product line up are geared towards restoring the youthfulness of mature and aging skin. Radiant Youth Firming Creme – Does It Really Work? Improve the smoothness of your skin and promote a more even skin surface with tighter pores. This product works by flooding your skin with moisture enhancing ingredients infused with natural healing components. The result is a healthier skin with a more radiant and youthful complexion. It then ends by boosting your antioxidant protection. What Are The Ingredients In Radiant Youth Firming Creme? Glycerin: A powerful emollient, this ingredient is widely used in skin care and personal care products for its powerful ability to moisturize your skin and keep it that way but also can cause skin irritation to sensitive skin. Shea Butter: Contains lipids that your skin needs to restore its protective barrier as well as to replenish lost moisture to power up cellular level processes happening deep within your skin. Squalane: A significantly skin conditioning ingredient that instantly relieves aging skin of chronic dryness. Vitamin E: Provides antioxidant protection, it also supports the rebuilding and re-strengthening of your skin’s protective barrier. Zinc Gluconate: Enhances repairs where needed while also improving skin synthesis to make your skin thicker and stronger. Copper Gluconate: Promotes better control and regulation of oil in your skin. Sodium Hyaluronate: Also hyaluronic acid, this ingredient attracts moisture from the surroundings to rest on your skin and make it plumper and dewier. However it may cause itching or skin irritation. Volante Radiant Youth Firming Creme must be applied on thoroughly cleansed and toned skin, morning and night, to achieve the product objectives on your skin sooner and much more efficiently. This product is rid of parabens, mineral oils, synthetic fragrances, and other toxic and potentially irritating ingredients. This product is suitable for all skin types. Although many customer reviews state a different story. This product helps reduces Fine Lines and Wrinkles. The manufacturer fails to provide any proof of product efficacy or consumer feedback to back up its claims about this product’s anti-aging potency. 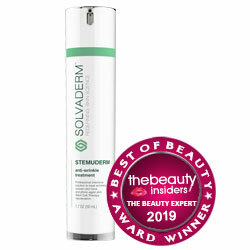 This product is so much more expensive than most other better formulated, non-luxury anti-aging creams. Volante Radiant Youth Firming Creme reviews are practically absent, making it impossible to gauge the breadth and intensity of user reactions about this product. Does Radiant Youth Firming Creme Have Any Side Effects? With Volante Radiant Youth Firming Creme, it’s hard to believe how you can benefit from its so-called anti-aging formulation. The primary components are too less than basic and phenoxyethanol shows up as the 12th ingredient in a long lineup of product components that you can easily find in other anti-aging creams. We bet you that you can find alternatives that are cheaper than this close to US $100 cream.